Get in on the meme! Make your own re-purposed garbage designs with these three product ideas. Want to get in on the repurposed-trash design act? Maybe you read a big story about DIY engineering, or maybe you just want a Ke$ha-inspired “garbage-can chic” furniture set for your living room. Either way, three new product-design ideas mean the kludge is not just for nerds anymore–hacking has gone mainstream. So print out a Repair Manifesto, grab the duct tape, and get to work. 1. Makedo connector system. We gave you a heads-up on the Australian company Makedo back in July, but their Lego-like building system is now on sale (and selling out fast–hurry and get yours). 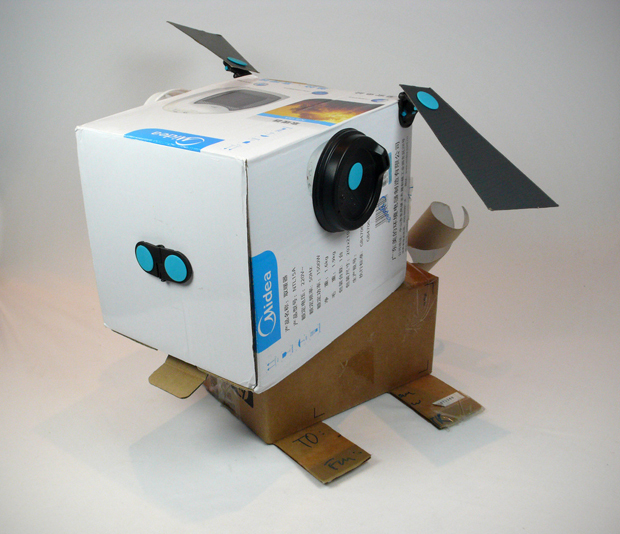 Makedo is a set of joints and fasteners you can stick into pretty much anything thin enough to poke a hole in–cardboard boxes are the obvious choice–and use to connect bits of trash together into sculptures and furniture. It’s brilliant in its simplicity: just a few pieces of plastic turns a pile of recycling into raw materials. 2. Sugru. Silly putty for grown-ups: Sugru is so cool, it almost feels like a hoax. Invented by RCA student Jane ní Dhulchaointigh, Sugru is a moldable goo that hardens into a solid but flexible putty. It’s heatproof, waterproof, dishwasher-safe, and sticks to everything: metal, ceramic, glass, plastic… Fix that cracked dish, make a better grip for your bike’s handlebars, patch a broken rainboot. Imagine the possibilities! Or just check out dozens of ’em on Sugru’s site. The best thing about Sugru, though, is that it makes no effort to blend in–it’s flashy and bright colored, so you can wear your hack like a badge of honor. 3. Matt Brown’s Night Horses. Matt Brown takes worthless thrift-store junk, like these plastic horses he bought in Sweden for two bucks, and re-imagines them as bizarre, failed product lines. 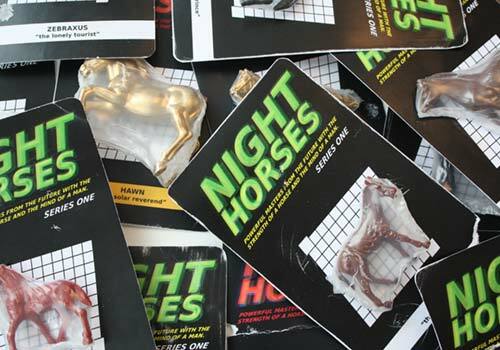 The horses become “Night Horses: Powerful Masters from the Future with the Strength of a Horse and the Mind of a Man.” A set of cheap-o matchbox cars will become “Throttle Dukes.” It’s basically the idea behind Significant Objects (where I heard about it in the first place): reinventing trash by giving it a new story. It’s the most low-tech hack there is–no magic putty needed.